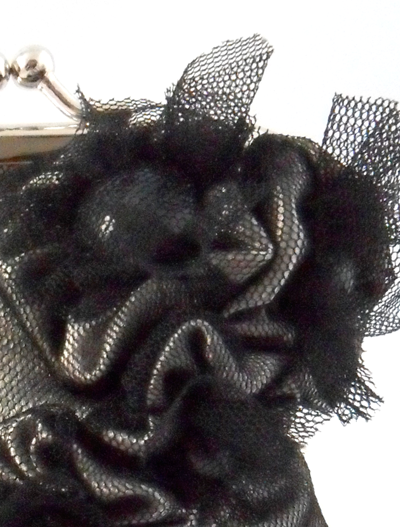 A versatile little clasp purse with double luxury layers of soft tulle and satin giving a two toned reflective surface finished with brooch style wrapped pearls nestled within soft tulle and satin ruffles. 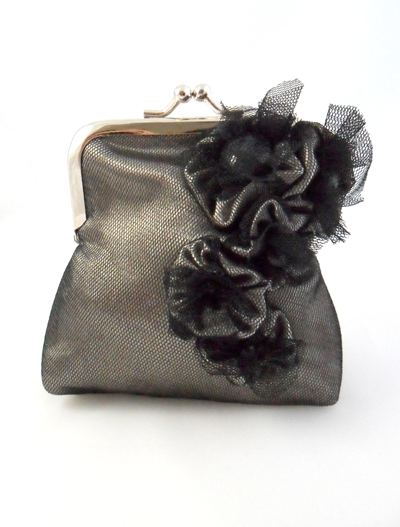 It has a clasp purse fastening and is fully lined with matching luxurious satin. 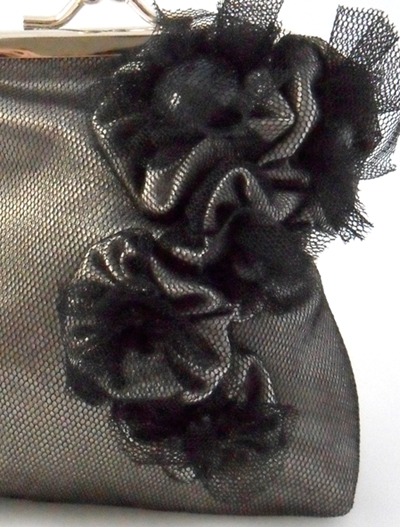 Materials: Soft Net Tulle, Satin, Black Glass Pearls. Nickel Coated Frame Clasp. Dimensions: 14cm length x 11cm width 4cm depth (measurements are approximate only).